This photo comes from the first Manchester Township #FireSafetyCouncil meeting, held on January 18, 2018, in the Municipal Complex Courtroom. Here, OEM Coordinator Arthur Abline is discussing information with members including Mayor Kenneth Palmer and Councilman James Vaccaro. After some discussion, members of the committee consider the current priority area to be the communities of Fox Hollow, Roosevelt City, Wynnewood, and Timber Green. 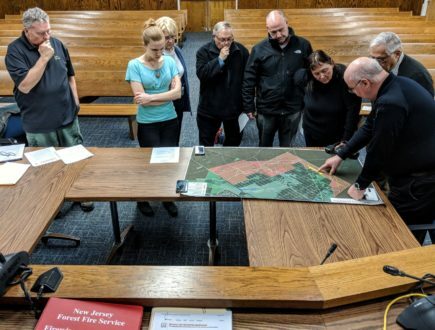 Committee members are putting into place a plan to have these communities designated as National Fire Protection Association #Firewise sites. So far, there are more than 1,400 recognized #Firewise sites across the nation taking action and ownership in preparing and protecting their homes against the threat of wildfire.